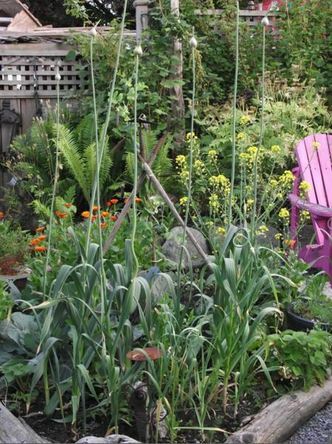 Edible Oasis is a small backyard, urban nursery and farm located in New Westminster, BC. We provide plants and advice to help create natural, sustainable, edible garden spaces. Inspired by the ethnically diverse and bountiful food gardens lining the alleys of East Vancouver from my youth, the concept of Edible Oasis came about as I slowly transformed my entire urban lot from a simple grass yard into a landscape of edible and native plants, that is both beautiful and edible – it can be harvested and foraged from throughout the year. We've added Urban Chickens and Bees to the garden in 2014. Check out our pages on them if your thinking about adding them to your yard.